Since its grand opening in 1995, more than 30 million people have come to the TD Garden to see the arena's famous tenants, the NHL's Boston Bruins and NBA's Boston Celtics, as well as world-renowned concerts, sporting events, family shows, wrestling, ice shows and so much more. Enjoy events from the privacy of your own suite. 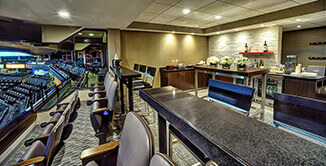 Suites accommodate from 12 – 21 fans, feature great amenities, and are ideal for group outings, corporate hospitality, birthday parties, bachelor or bachelorette parties and much more! 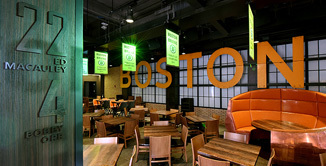 Legends is a private, members-only restaurant and bar located on level 3 of TD Garden, exclusively open to Boston Bruins and Boston Celtics season, half-season and quarter-season (11-or-10-game) ticket holders with a membership. 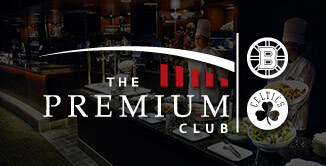 The Premium Club is a place where exclusivity meets action. Business mixes with pleasure. And you experience what it feels like to be on the inside of the most exciting events in Boston. Get to know the five distinct Premium Club seating options.